Rapper Jim Jones' Net Worth: How Wealthy is This Hip-Hop Legend? The entertainment business is no stranger to controversy and drama. For some, it seems like the more controversy you’re able to stir up, the better. Rapper Jim Jones is no stranger to controversy himself, finding himself in tight situations ASAP Mob, Jay-Z, and Azaelia Banks. But how has that impacted Jim Jones’ net worth overall? Currently, Jim Jones’ net worth is estimated to be around $10 million. Like most individuals in the music industry, Jones has worked incredibly hard to get where he is. Born in the Bronx and raised in Harlem with a rough family life, Jones wasn’t exactly set up for success but he has been able to accrue millions. This is because he has employed one of the best financial practices (diversifying and securing multiple sources of income). While Jones is a rapper primarily, he has been able to expand his career greatly by opening other doors in the entertainment industry (acting, producing, etc.). Jones made millions through his music career, no doubt. In fact, it is estimated that he makes about $1.4 million per year. While that is impressive, not all of that is contributing to Jim Jones’ net worth. The current estimate also includes investment earnings from 2008 of about $200,000. You can also attribute another $500K of Jones’ overall net worth to endorsement deals. Jim Jones, born Joseph Guillermo Jones II, was an original member of The Diplomats (aka Dipset). He is also now the co-CEO of Diplomat Records. Over the years he’s become well known for his music video production as well as his rapping ability. Between 2004 and 2005 Jones began to surface on the radio and streaming sites. “On My Way to Church,” his debut album, had two singles that made it to the US Billboard Hot R&B/Hip-Hop Songs and peaked on the charts at number 18. His very next album, “Harlem: Diary of a Summer,” sold 350,000 copies and numerous hits as well. Jones went on to produce three more studio albums and a number of mixtapes, including his popular “Vampire Life” series of tapes. 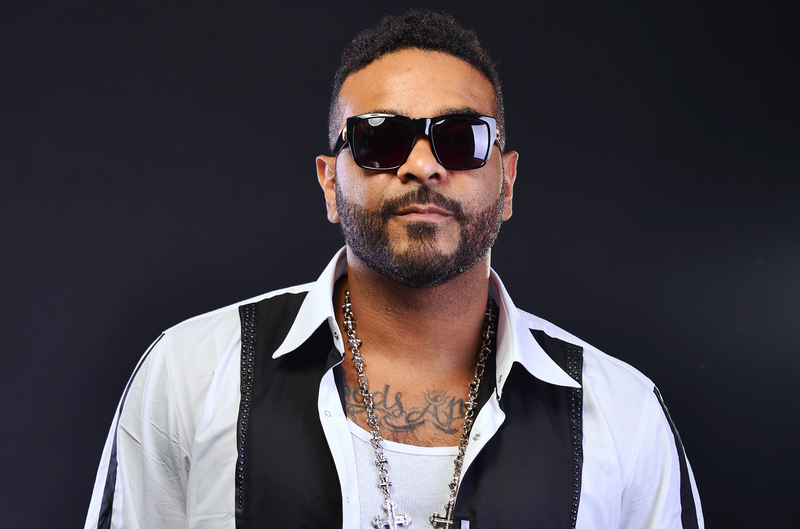 Jones also released an album to accompany an off-Broadway musical (“Hip-Hop Monologues: Inside the Life and Mind of Jim Jones”) in which he headlined. As mentioned above, music isn’t the only thing making Jim Jones money. He has a number of other ventures that have contributed to his income as well. For instance, he was the music video director for many of the early Dipset music videos. In 2007, he began dipping his toes into the fashion business as well, launching his own rapper rockstar style. Currently, his “Vampire Life” brand clothing is only for sale in New York City but he is looking to expand it worldwide in the years to come. Not everything in Jones’ career has been perfect though. As you may know, Jones is known for stirring up controversy in the world of rap and hip-hop. In the summer of 2006, a “diss track” by fellow rapper Tru-Life was released. The track was a clear shot at Jones. In response, Jones challenged Tru-Life to a fight (with $50K at stake). This led to further beef with successful rapper Jay Z.
Jones and Jay Z no longer hold any animosity towards one another. In 2017 Jones signed to Jay-Z’s Roc Nation label. This came shortly after the end of the Dipset reunion tour. Either way, you look at it, Jones has been able to accumulate a substantial amount of wealth through his career. With a net worth of $10 million and continuing to earn $1 million+ each year, Jim Jones will likely be comfortable for many years to come. What do you think about Jim Jones’ net worth? Let us know in the comments!